For our client, a globally operating and market-leading internet company, we are currently looking for a motivated and experienced Business Analyst. Strong background in data science, digital transformation, statistical analysis and machine learning that will help to shape end-to-end data-driven solutions in the context of data mining, data collection, data processing, data cleansing, ensuring data quality, data visualization and data analysis using machine learning, elicit, analyze and validate requirements. Define and document the software requirements of the platform software project based on our client's product requirements. Structure the software requirements to be implemented by software development, to allow the software requirements to be implemented by software development. Support know-how transfer from initial product requirements to technical requirements. Manage requirements, test cases and associated risks, including their status and traces in the requirements management system. Frau Kaja Tarnowska, Key Account Manager, looks forward to answer your questions by phone +41 58 233 4580. 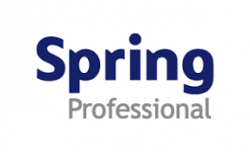 Spring Professional is an international recruitment firm specialising in IT, engineering, finance & accounting, financial services, property & construction, supply chain & logistics, corporate functions, life sciences and sales & marketing.